Based on the textbook Auto Fundamentals, 11th Edition (©2015), this course covers design, construction, and operation of automotive systems. Auto systems are taught by first explaining the principle of each and then describing the individual parts. 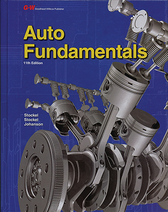 The student study guide leads students through the course along with an Auto Fundamentals workbook. Ten LightUnit tests are provided. 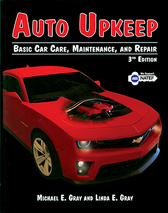 The Auto Upkeep, 3rd Edition textbook (©2013) covers everything from purchasing a vehicle to performing basic maintenance and repair, Auto Upkeep presents the information you need to know in an easy-to-follow format with hundreds of detailed pictures and drawings. This straightforward course will help keep you safe and potentially save you thousands of dollars. It gives an overview of all the main vehicle systems and also covers basic tools, repair facilities, roadside emergencies, and hybrid vehicles. The student material contains five LightUnits (in one workbook) to guide the student through the text along with an Auto Upkeep workbook. Five tests provided. 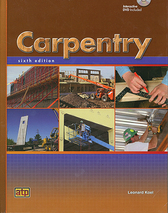 The full-color textbook Carpentry, Sixth Edition (©2013) includes detailed illustrations and descriptive photographs along with an introduction to every aspect of the carpentry trade. Students learn about construction materials, methods, hand and power tools, equipment, safety, reading blueprints, survey tools, foundations and slabs, frame construction, post and beam construction, and heavy concrete construction. Up-to-date safety practices and related OSHA regulations are also covered. The student study guide leads the student through the Carpentry, Sixth Edition workbook and provides ten LightUnit tests. This textbook is a study of wisdom based on the book of Proverbs. Subjects include trust, obedience, submission, turning from evil, pride, purity, friendship, the strange woman, the virtuous woman, and the faithful man. Worksheets expand each topic in the textbook through study of relevant Bible verses, mostly from Proverbs. Five unit tests are included. 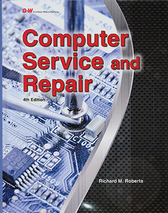 Based on the textbook Computer Service and Repair, 4th Edition (©2015), this course teaches the fundamentals of computer technology. It takes CLE’s Computer Basics course a step further, showing how to upgrade, configure, troubleshoot, and network personal computers. The text explains the electronics needed to make devices work and the different stages in their development. After this course, students will have the prerequisites for pursuing more technical areas involving computers. 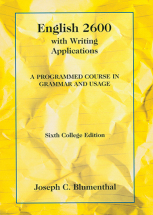 Each of these half-credit courses is useful for remedial work for students who struggle with English grammar and usage. Use 2600 for ninth grade and 3200 for tenth grade. The programmed material in each work-text is presented in frames (small segments), which prompt the student to learn, respond, and check/correct their own work in small increments. The constant reinforcement aids remedial learning. Students will need a textbook and a test booklet. 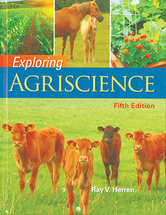 This course is based on a middle school textbook Exploring Agriscience, Fifth Edition (©2018). It introduces students to a wide range of agricultural topics including forestry, landscaping, biotechnology, and aquaculture. Students learn the most significant components of agriculture and its importance to society. The book teaches many interesting facts about plants and animals without overloading them with details. One workbook, instead of 10 individual LightUnits, guides the student through the text. Ten LightUnit tests are included. 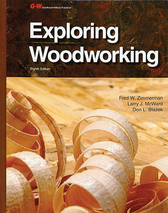 Based on Exploring Woodworking, 8th Edition (©2014) This basic course introduces practical woodworking skills and tools. The textbook discusses types and uses of wood; safety; hand tools and portable and stationary power tools; manufacturing and careers in woodworking; and project planning, construction, assembly, preparation for finishing, and finishing. For the last unit, the student designs and constructs a project. The student guide leads the student through the Exploring Woodworking textbook and accompanying workbook, and provides LightUnit tests. The answer key provides answers for textbook and workbook exercises and the tests, and includes removable teacher’s notes. 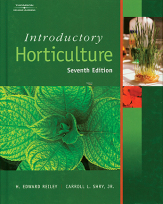 The up-to-date, full-color textbook Introductory Horticulture (©2007) includes detailed illustrations and photographs along with an introduction to all aspects of horticulture, including how plants are named, parts of plants, plant reproduction, growth requirements, and methods of plant propagation. Students learn about greenhouse management, container planting, landscaping, vegetable gardening, and small fruit production. Also covered are lawn and turf management and pest control. Ten LightUnits in one workbook guide the student through the text. Century 21 Keyboarding and Information Processing (©2000) guides students in developing keyboarding skills. It also teaches document formatting and processing. Either a typewriter or computer can be used. Optional work is included for those using computers. Textbooks are used but clean. Student materials include a student guide dividing the book into ten LightUnits, and ten performance tests. Mathematics Plus (©2016) includes very involved practical problems related to agriculture, woodworking, and construction. Experienced knowledge of geometric formulas required. Only highly motivated and mathematically literate students can work through this course independently. 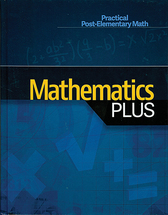 The Answer Key contains answers and basic solutions for the Mathematics Plus textbook. Not a thorough solution key. Test answers are included in the back of the Answer Key. 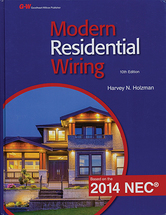 Modern Residential Wiring, 10th Edition covers basic information for installing electrical wiring in homes or light industrial applications. It introduces electrical energy fundamentals, circuit theory and components, electrician’s tools, grounding essentials, types and components of wiring systems, device wiring, reading prints, electrical remodeling, and more. The course is based on the 2014 National Electric Code, which is recommended but not required for the course. Student materials include a workbook, a student guide, and ten tests. Music is powerful. It can build up or destroy. 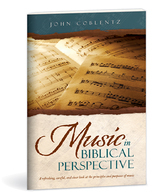 How can Christians make wise music choices? This elective not only teaches music, it speaks to these underlying issues. What About the Music Itself? 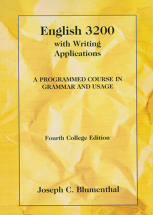 This literature course is based on the unabridged printing of Pilgrim’s Progress by John Bunyan, who wrote it from a prison cell in 15th century England. This allegory relates the story of Christian and his wife, Christiana, who found the way to the Celestial City. It is considered one of the greatest masterpieces of English literature. Students read and analyze the book with the help of a workbook divided into five units and tests. The textbook Practical Math, 4th Edition (©2015) provides comprehensive review of basic math concepts. Topics included are whole numbers, factors and cancellation, fractions, decimals, percentages, measurements, powers and roots, ratios and proportions, plane and solid figures, and graphs. Fourth-edition textbook requires fourth-edition answer key. Older course materials are not compatible with the newest edition. This is a consumable textbook with no additional student materials. The breakdown of the textbook into LightUnits is included with the text. This textbook may be out of stock. Call for availability. 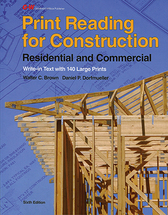 The textbook Print Reading for Construction, 6th Edition (©2013) teaches basic and advanced concepts needed to interpret construction prints. The textbook is comsumable and comes with a large print folder containing 140 foldout prints (17 in x 22 in) for both residential and commercial construction. Provides a hands-on experience that will benefit students considering a career in construction. A student guide directs the student through the textbook. Ten tests are included. Teacher’s material consists of information for the course, answers for the exercises and tests, and a grid overlay to assist student in finding the answers on the foldout prints. 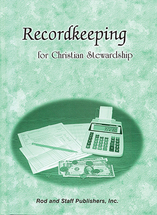 Personal recordkeeping covers topics such as personal banking, budgeting, understanding credit, and taxes. Business recordkeeping includes topics such as cash receipts and records as well as inventory, invoicing, and payroll. 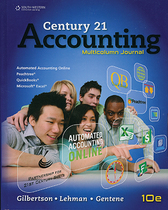 Business accounting teaches double entry accounting, and the use of ledgers, journals, and financial statements. Each section ends with a project that reviews the concepts taught. The examples given are in an Anabaptist context. Student material includes two workbooks, a student guide, and a test booklet. The hardcover teacher’s manual includes student workbook answers and test answers. Small Engine and Equipment Maintenance (©2012) teaches the maintenance practices required to maintain residential and commercial power equipment. A versatile program designed to support entry-level school programs and operators of small engines in everyday situations. 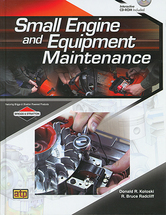 Covers tools and safety, history of small engines, small engine fundamentals, and more. Hands-on activities include repair projects at three levels of difficulty. Supplementary CD-ROM also included. The student material contains five LightUnits (in one workbook) that guide the student through the text along with a non-CLE workbook. Five tests provided. 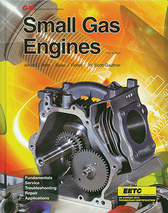 The textbook Small Gas Engines (©2015) provides the student with useful information about small gas engines. It contains material on construction, operation, lubrication, maintenance, troubleshooting, rebuilding, and repairing two- and four-cycle engines. Student materials include a workbook, a student guide, and ten LightUnit tests. 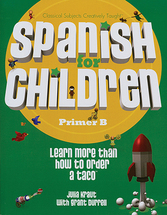 At first glance, the title Spanish For Children does not sound like a high school Spanish course. 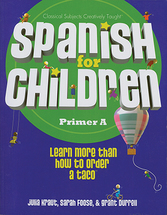 But in reviewing this course, we felt it was worth a high school half credit because of the depth of Spanish grammar. Technical Sketching and Drawing (©2008) is packed with step-by-step drawing instructions and technical tips, this course teaches both basic and advanced skills with a hands-on application of the concepts presented. 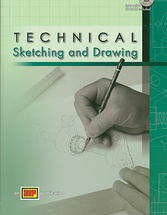 Covers drawing fundamentals, instrument drawings and techniques, pictorial drawings, geometric constructions, dimensioning and tolerancing, prints, and more. Includes a supplementary CD-ROM. The student material contains five LightUnits (in one workbook) to guide the student through the text. Five tests provided.